The crossing is located between N. Jackson Street and N. Jefferson Street in close proximity to Dixon’s downtown, Anderson Elementary School and adjacent residential areas. Although there are three at-grade crossings connecting residents to Dixon’s downtown, West B Street is the only Union Pacific Railroad (UPRR) approved crossing for pedestrians. The schools that will benefit the most from these improvements are CA Jacobs Elementary, Tremont Elementary, and Anderson Elementary. With two fatalities at this “at-grade” crossing, the City knew improvements must be made in this area. This location was identified by the City of Dixon in the 2004 Conceptual Plan showing an alignment for a grade crossing improvement. 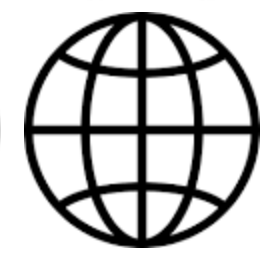 A community workshop, the City’s Transportation Advisory Committee meeting in August 2007, and subsequent City Council action recommended developing an underground crossing and directed staff to proceed. The Dixon West B Street Undercrossing officially opened August 8, 2014. 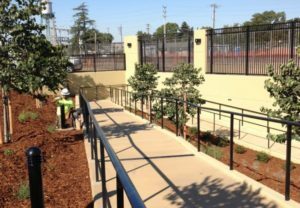 The project was funded through support of the Dixon Chamber of Commerce, Downtown Business Association, Solano Transportation Authority, and with funds from the City of Dixon, $2.5 million allocated from the Metropolitan Transportation Commission (One Bay Area Grant), $6 million in state and federal funds. The Dixon Green Bike Lanes were completed in Spring 2018. 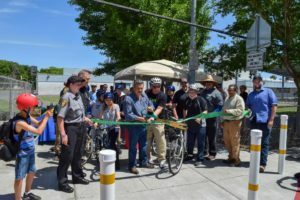 The lanes were officially opened with a ribbon cutting and bike ride on May 9, 2018 National Bike to School Day. 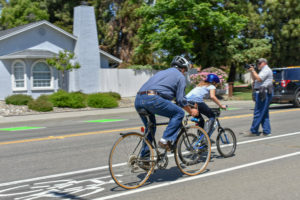 These high visability bike lanes are the first of their kind in Solano County. 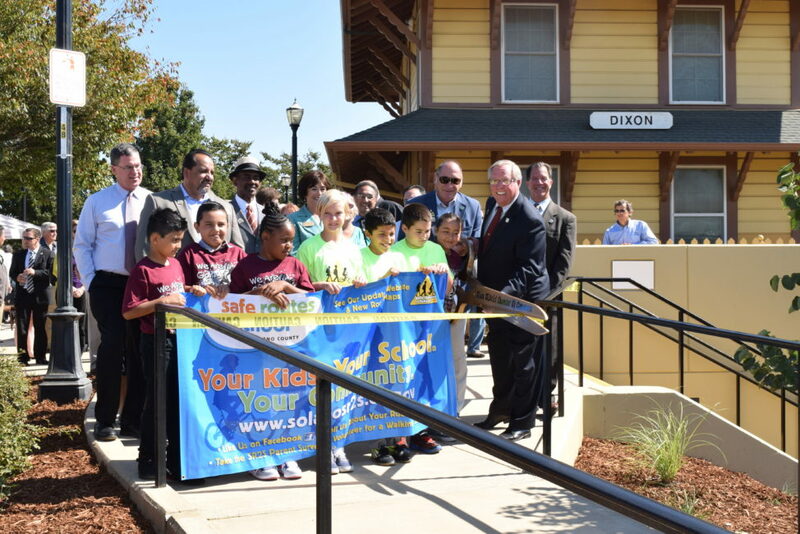 On National Bike to School Day May 8, 2018, the City of Dixon, local elected officials, the Safe Routes to School Program, members of the Bicycle Advisory Committee, CA Jacobs Middle School students and Solano Transportation Authority celebrated the completion of Solano County’s first Green Bike Lanes. The lanes run along Rehrmann Drive between CA Jacobs Middle School at North Lincoln Street and past Tremont Elementary to Evans Drive. 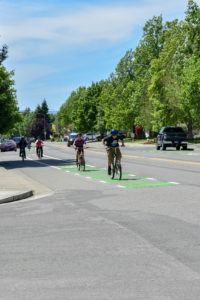 The green painted lanes make it easier for motorists to be aware of the bike lane and riders. Celebrants at the event took to two wheels to participate by riding on the lanes. The new Green Bike Lanes were constructed using Transportation Development Act Article 3 funds. The West B Street Project replaces an existing at-grade pedestrian crossing at West B Street with an underground concrete tunnel for use by pedestrians and bicycles. 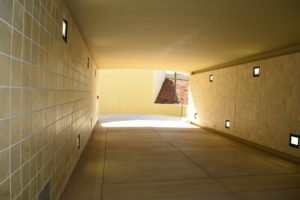 The new facilities include the 200-foot tunnel, stairs and accessible ramps, security fencing and courtyard areas with lighting, landscaping and irrigation, and a security system consisting of cameras (transmitting images to the Dixon Police Department) and emergency call buttons. 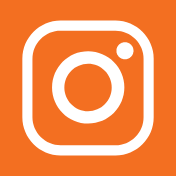 The Project serves pedestrians and bicyclists daily, the majority of which are school children who are able to avoid the 32 Capitol Corridor passenger trains and 6-12 daily freight trains. The Green Bike Lane Project provides a high visability lane for bicyclists riding along Rehrmann Drive. Students at CA Jacobs Middle and Tremont Elementary Schools can benefit from the lanes to get to and from school, reducing vehicle traffic around the schools during drop-off and pick-up times.